Emily Buehler is an author and editor based in Hillsborough, North Carolina. Emily is currently working on three fictions books. The Knowledge Game is a science fiction thriller about a near future where knowledge comes on chips that are inserted into the brain—or taken away. Rose Fair is a romance novel with dangerous fairies, an evil king, an empowered princess, and lots of XOXO. Kensington is a contemporary romance about an art student who falls for the security guard in the gallery at a grand estate, only to be implicated when a painting is stolen. Emily’s first book, Bread Science: The Chemistry and Craft of Making Bread (2006), covers the science of baking and includes step-by-step instructions for baking and pitfalls to avoid. Peter Reinhart, author of The Bread Baker’s Apprentice, said of Bread Science, “This book will be an important addition to every bread lover’s library, whether professional or serious home baker.” Emily continues to teach classes and workshops on bread baking and occasionally updates her food and chemistry blog. Buy the book at Two Blue Books. Somewhere and Nowhere (2017) is a memoir of Emily’s cross-country bicycle trip. It’s a cross between Eat Pray Love and Wild… on bikes. Ragini Elizabeth Michaels, author of Unflappable – Six Steps To Staying Happy, Centered, And Peaceful No Matter What, describes the book as “An enjoyable and worthy read for anyone interested in living a more balanced and happy life.” Buy the book at Two Blue Books. In addition to being an author, Emily is a copyeditor. 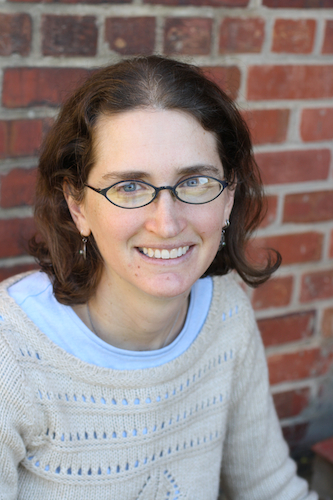 She received her PhD in chemistry from the University of North Carolina at Chapel Hill and began her editing career working on research reports and academic papers, before moving into a wider range of editing. Learn more about her editing business at http://www.emilyeditorial.com. To connect with Emily, subscribe to her blog. She posts news updates about once every month or two, with new about her writing and events. She also posts information for authors, editors, and self-publishers. Most recently, she’s branching out into posts about whatever’s on her mind. You can subscribe to the categories that interest you.